1. Options. There are plenty of options to add to the vehicle that make it that much more of a drool-worthy ride. Power liftgate, push button start and keyless access, satellite radio, upgradable stereo with HD radio, panoramic moon roof, and a back camera are some of the great options that you can add on at purchase. 2) Safety features. The 2014 Subaru includes the Subaru EyeSight driver assistance system. This is a great safety feature that includes pre-collision braking and a lane-departure warning. Overall, it is a very safe vehicle. Included in the safety package are 7 airbags. The airbags are secondary to the vehicles ability to handle in less than perfect road condition. 3) Price. The base Manufacturer's Suggested Retail price is just under $22,000. 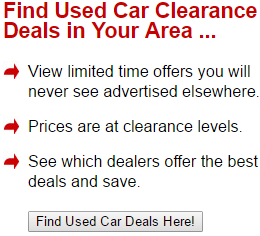 It's a lot of vehicle for the price. There are some options that are good to add to base package. The base package includes a manual transmission, but some drivers find that intimidating and upgrade to an automatic transmission. 4) Performance. The Forester is a responsive SUV. It comes standard with a four-cylinder engine and most of the test drivers say that is enough power. A turbocharged version is available as an upgrade and that redesign is one of the quickest SUVs in its class. If off-road is what the driver craves, s/he can upgrade to X-mode traction assist system helps grip the road. 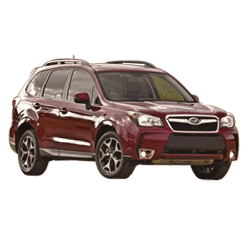 Add in the X-mode traction assist with the controlled ride and accurate steering, the Forester is a great off-road vehicle. 5) MPG. While a driver can expect less than stellar mileage in a bigger SUV, the car-like crossover feel of the Forester comes with a combined 25 mpg and up to a 32 mpg on the highway. It's better than average for a vehicle of its size. 6) Space. The interior is an evolution rather than a revolution from the 2013 version. It has taken a more "Samurai" look. It has a spacious interior that seats five. Reviewers rave about how bright and spacious the cabin feels—especially when the panoramic moon roof is added. 7) Comfort. The seating is good for a broad range of drivers and passengers. There is more rear leg room. The back seats are positioned in a way that makes it easy to get in to and is much more comfortable. For the driver, the instrument panel has been moved forward 5 inches. This, along with other incremental changes in the cockpit, makes the driver's seat a comfortable place to be. Exceptionally tall and slim drivers may find the seats a bit too short and lacking in back support, however. 8) All Wheel Drive. Subaru is touting its Symmetrical All-Wheel Drive system as a huge safety asset. They've redesigned the layout of the wheels so that power is independently distributed apart from the stability system. This is a big advantage in favor of stability. 9) Cargo Room. If you are looking for cargo room, the Forester has it. When all of the seats are in use, there is 34.4 cubic feet of cargo space and when the rear seats are folded down the space jumps to 74.7 cubic feet. Drivers also noted a big glove box and lots of other storage spaces throughout the cabin. 10) Reliability. JD Powers and Associates Predicted Reliability rating is 3/5. There was one recall on the 2014 Subaru Forester and that was for rear mats curling up in heat. 1) Interior issues. While test drivers commented that there is a lot of room in the vehicle, the interior tends to favor function over form. It makes the leap from a car to a SUV a bit harder for some drivers to make. 2) Technology. CarGurus.com gave the Forester a 4/10 on technology. The technology included in the vehicle is at least 5 years old. Among the issues include the navigation screen being too small to operate well. Subaru lovers really wanted the 2014 version to have a major upgrade in technology. Unfortunately, that was one of the things that did not get upgraded. 3) Honda CR-V. The Honda CR-V might be another vehicle to look in when shopping for an SUV in this class. It has a super high safety rating, comparable cargo room, and a spacious interior. Unlike the Forester, the CR-V has a better technology suite and techies might find it a better fit. Overall, the 2014 Subaru Forester is a great vehicle. Both die-hard Subaru fans and those new to the clan love this vehicle.